I Survived Another Psychic Attack! 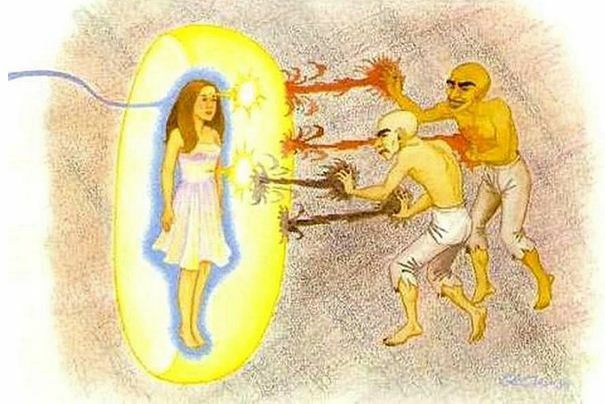 To fight psychic attacks, one must visualize silvery white or violet light enveloping one’s body like an impenetrable energy shield. Photo care of Spiritscience.net. I survived another psychic attack – and lived to tell the tale! Okay, so that was supposed to be an eye-opener 😉 No, it was not an attack as dramatic as the one they sent me more than 2 years ago when they attempted to rearrange my face – heh! heh!, I mean, my face got really swollen that I couldn’t recognize it – all because I bought and ate some sweetened bananas from a sidewalk vendor. That night, I had to be rushed to the nearest infirmary because I had all these raised red blotches all over my skin. It went on for 2 days. They gave me shots and had to sleep for almost 8 hours in the infirmary. I had to do the same thing on the 2nd day because the welts would disappear after several hours with the morphine (I think) and come back when the drug would wear off (they usually come back in the evening). I swear I thought I wasn’t going to make it that time! 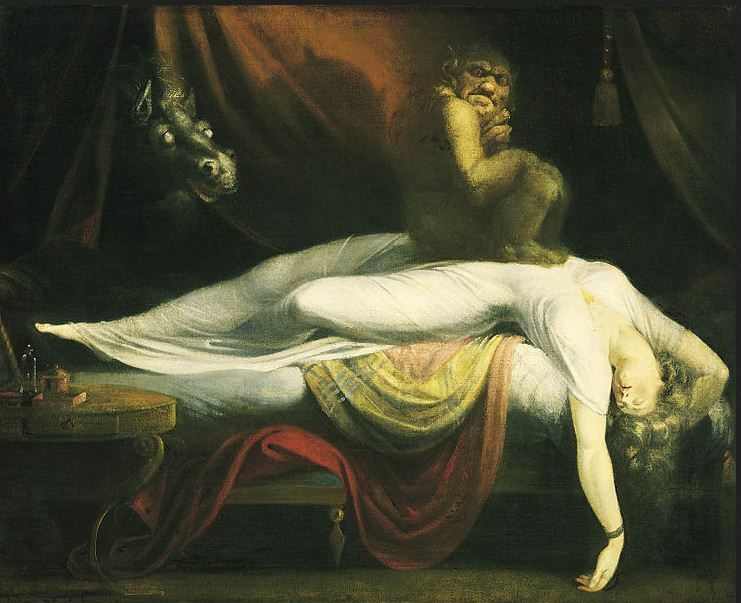 😦 Well, okay, maybe that’s an exaggeration, but sleeping in the infirmary (I usually detest staying in hospitals because I could sense other worldly beings there) was much much better than staying in my flat. In the end, I managed to drag myself to my father’s house, requested to stay for a couple of days (I was estranged from my family at that time 😦 ) and used my pranic healing skills to get me out of my rut. I also asked the help of Riana who quickly engaged the help of one of our spirit guides – the little dragon Krisolis – who snatched the voodoo doll that Team Dark used to inflict harm on me and destroyed it. I got better after that. Since then, I get psychic attacks almost on a monthly basis – but not as dramatic as that incident with the voodoo doll. I survive each attack with the help of my benevolent spirit guides and enlightened interdimensional being friends, and by a lot of Tibetan mantra chantings, meditation, herbal lore and using the appropriate crystals and stones as psychic shields. The more common attack would be one targeting your health – like this one I just endured. It usually comes during the waxing of the moon, when Team Dark’s powers get stronger (they use the natural energies of the moon to ride on that). I had a bout of the common cold – and an unusual wracking cough – highly suspect because I hardly get sick. And the migraines, starting on the day the moon became full (I rarely get migraines; a headache or two but not migraines). The migraines lasted for 4 days; it became untolerable to continue my writing. I felt tired and because I felt tired, I had to sleep it off, which didn’t help sometimes because I was coughing and my nose was running all the time. So I consulted my spirit guides and they told me this: I must stop drinking coffee with milk (the milk aggravates the cough). I must renew my Tibetan mantra chanting (I stopped for a while, admittedly) and chant the 11 powerful mantras (these are Tibetan mantras collated by the fengshui astroler and expert Lilian Too. Unfortunately there is no online version of the 11 mantras, so you may use the Amitayus mantra http://cdn.fpmt.org/wp-content/uploads/education/pdfs/Amitayus_Buddha_Mantra.pdf?6e7ca6 and the Namgyalma mantra http://cdn.fpmt.org/wp-content/uploads/education/teachings/texts/mantras/Namgyalma_mantras.pdf?6e7ca6 – both for protection against psychic attacks). Mantra chanting is exhilarating and since Buddhism is a very tolerant practice (it is not a religion though but a way of life), everyone is more than welcome to chant. I must also drink an herbal brew which consists of the following: turmeric or ginger (a few pieces, thinly sliced would do), a few leaves of oregano and a few leaves of the five-leafed chaste tree. Boiled together for a few minutes in a pot of water. I’ve been drinking the concoction since two days ago and I must say, it does clear your nostrils and expels ALL of your phlegm. But the cough persisted. So I tried another tack. I lied down. Got my crystals – amethyst and black obsidian. I held them in my hand. Got my amethyst pendant and laid it on my forehead. This is my healing amethyst; it has healed me countless times in the past. I laid my amethyst cluster beside me and another clear quartz used by the mermaid Yena. Together, under meditation, we traveled to my favorite forest grove composed of almost 100 year old trees. There are seven of them, these tree spirits. Together they act and think as “1 mind” – a clear example of our connectedness. These trees have been one of my staunchest advisers from a few years ago, when I started learning all these shamanic skills. The forest grove trees said there was an attempt to bore a hole in my crown chakra but they can easily patch this up for me. Swell!  So they healed my crown chakra in the astral world and sent me back to 3D. Here is the link to my fav pineal gland activation music: https://www.youtube.com/watch?v=J4XILtCBJ3k . * When undergoing a psychic attack, analyze how it might have been triggered. Normally, there is a “fear” somewhere involved. Fear of getting sick, fear of the dark, fear of going hungry, fear of not making enough money – any fear can trigger such an attack. Then remove that fear, hopefully permanently! Team Dark usually makes use of that fear to send an attack your way. As they said, your fears become your worst nightmares. *Quickly set up an energy shield of violet or silvery white light around you and your surroundings. Ask your spirit guides, Archangels (Michael, Uriel, Raphael and Metatron are my favs 😉 ), ascended masters, etc. to help strengthen this shield and make it impenetrable. Program your shield to be self-regenerating, or you can program it twice a day (morning and evening) to do its work. * The second shield you’re supposed to set up are on your person and your surrounding environment. It is important to use the right crystals as energy shields. See my guide on crystals for psychic protection here https://shamanainthemaking.wordpress.com/2015/08/16/a-guide-to-crystals-that-aid-in-psychic-protection-and-psychic-attacks/ . Also, you can make use of natural, nature-based items such as eucalyptus bark, super hot red chili peppers (the big long ones are great for this) and black peppercorns strewn around your bedroom and any room that you are staying in. You can also light incense sticks of sage or sandalwood to purify and secure the room that you are staying. I recommend taking constant baths of water laced with rock salt and sprinkled with black pepper and cinnamon. Before pouring the water on yourself, make an intention that this water will cleanse you of any negative energies or entities sent your way. * Ask for the help of your spirit guides, ascended masters, archangels, positive elemental beings, etc. Ask them for specifics on how to fend off such an attack – and tips on how to make sure it doesn’t happen again. Normally, they would be too happy to help you. In this case, aside from the forest grove trees, I called on my Buddha and Boddhisatva guides to protect me and help me figure out the cause of the attack and how to fend it off. * Make use of herbal lore to help heal you when the psychic attack involves your health. This can be gleaned from traditional local customs and traditions such as the use of a brew and the appropriate herbs to get you better. * Do a lot of meditation, because meditation makes us calmer, closer to our Higher selves, and helps us vibrate at a higher frequency (the higher we vibrate, especially in love and compassion even to our detractors, the less likely we are affected by the psychic attacks sent by negative beings). Attend a meditation class and enjoy learning the craft with others. * Use the appropriate music for meditation or just chilling out. I like to use pineal gland activation music and Eastern music like Tibetan chanting or Tibetan bells to meditate; also Indian chanting music or meditation music. This is another of my fav music: https://www.youtube.com/watch?v=aq8RA0LGoZE . *Lastly, assume a mindset and attitude of “positivity” and “love and compassion” even to Team Dark. It is this mindset that will keep you alive and strong against your detractors. Disclaimer: For really “diabolical” or “life and death” cases of psychic attack, I do recommend going to your nearest shaman, religious helper (priests, pastor, rabbi, etc.) or psychic healer ASAP for guidance and help. But again, not all of the above-mentioned individuals have had experiences with psychic attacks so please choose wisely 🙂 . This entry was posted in crystals for psychic protection, entity removal, psychic attacks, psychic protection, self-empowerment, shamanic healing, Spirituality and tagged 11 powerful mantras, Amitayus mantra, crystals for psychic protection, entity removal, Namgyalma mantra, pineal gland activation, pranic healing, psychic attacks, psychic protection, Shamanism, spirituality, Tibetan mantra chanting. Bookmark the permalink.